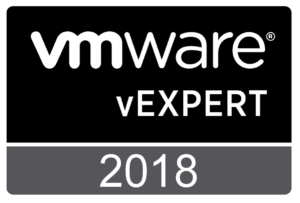 A fairly common pre-VMworld blog post is a listing of sessions the post author has decided are “can’t miss.” This is not that post for a couple of reasons 1) it is written well after VMworld and 2) these are all sessions that for one reason or another, I missed. Some of these were never on my schedule as they overlapped with other activities, others were dropped during the week, either way, these are my “missed can’t miss sessions”. Digital Workspaces Keynote A fast-paced look at what is happening with VMware’s EUC products. Windows 10 With its more frequent releases, changes in support lifecycles, and multiple servicing branches, Windows 10 is probably on the mind of most everyone in EUC. Whether you are still holding onto a previous Windows release or have already deployed Windows 10 in your environment this topic is not going away anytime soon. Horizon Cloud on Azure Unlike Windows 10, this one may not have as much universal interest, but I have an interest in seeing the benefits of cloud computing come to desktop and application delivery. I am particularly interested in capacity on demand with an eye towards workloads that have infrequent high usage burst periods (academic terms, seasonal commerce, etc.). Automation As our environments become more dynamic to meet more rapidly changing needs, the ability to automate tasks becomes increasingly important. Performance Always good to keep everything running smoothly and it seems there is always something new to add to the troubleshooting toolkit. Miscellaneous Finally, there are those things that look interesting, but may not fit a larger theme. I will also make an exception to my session inclusion criteria and point out a session Gerard Strouth brought to my attention, What’s New in Horizon 7 (WIN2537BU). The VMware User Group (VMUG) Facebook page has recordings of a few of the VMUG Lounge sessions.